More than likely, they are missing some important skills that go beyond the ability to decode. Learning to read and then reading to learn involves a rather intricate physiological function that goes beyond learning sounds. There are many prerequisites to successful learning. In a classroom setting, over 80% of learning comes through visual pathways. Wouldn’t it make sense then to have an efficient visual system? This should be the first prerequisite on the road to successful learning! We need to go beyond thinking that having “20/20 eyesight” is the end of that road; it is only a portion of the road. 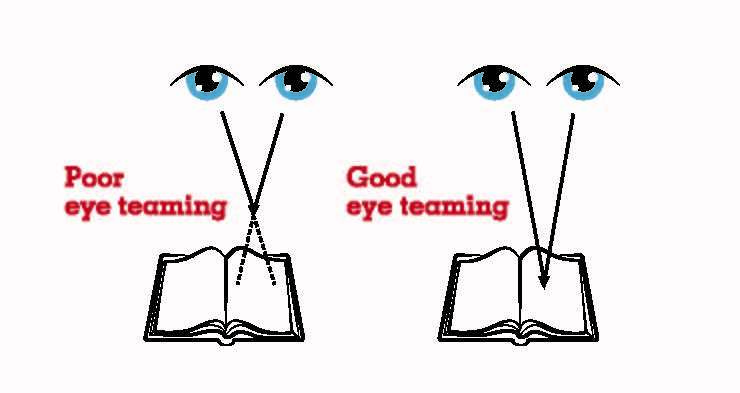 Reading requires us to have good eye teaming, a flexible and efficient focusing system, and the ability to effortlessly track our eyes across the printed page. Add to these skills the ability to give meaning to everything we see –visual processing. Just because we see something clearly doesn’t mean we understand what we see. Not all optometrists test for these necessary skills. Behavioral Optometrists (also called Developmental Optometrists) specialize in looking at how our brain and eyes work together. The tests go beyond the visual acuities of each eye. How well do our eyes work when doing a near task? How do we process the information our eyes are taking in (eg. reading comprehension)? The volunteers who come into a school to perform vision screening tests record how well a child can read the lines on a Snellen chart 20 feet away, each eye tested separately. But most classroom work takes place at the child’s desk, less than 20 inches away, using both eyes together. Who checks the effort required for near work? Behavioral optometrists, that’s who! They look at how well the two eyes work as one unit (eye teaming, or binocular vision); are the eyes aiming at exactly the same place in space? 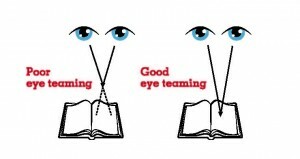 They measure the ability of the eyes to switch focus from near to far and how much effort is required to make that switch; copying from a board requires this skill. They look at how the eyes track a moving object and whether they can maintain fixation. How can we read a line of print if our eyes are jumping all over the place? Visual perceptual skills are tested by a behavioral optometrist: for example, how does visual memory affect learning new spelling words or math facts, how does visual discrimination relate to the ability to discern a ‘b’ from a ‘d’, how does visual closure help us make parts into wholes? We use visual perceptual skills every day for learning; it only makes sense to find out if there is a problem in this area. When it’s time to schedule your next eye exam, look for a behavioral optometrist (www.covd.org). This exam could help you find the root cause to your child’s learning problems. Successful learning begins with an efficient visual system.